This is a spiritually rich book. This book dwells in different themes from Spirituality, Life after Death, Power of Subconscious Mind, concepts of Hell and Heaven. This book is not for everyone, as one may question the authenticity of the concepts which are in contrast with many Mythological books we read or heard about while growing up. But the story being the "True Story" will leave a considerable impact on you. A word of advice to everyone who wants to give it a try, you need to have an open mind all through out the read, otherwise it will be impossible for you to read it through". 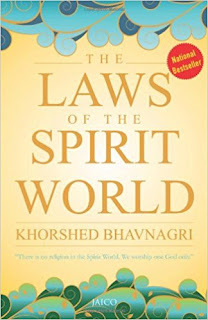 As the book states 'Spirit world has no religion and there is only one God'. This book could mean something to people who are trying to understand how life or Karma works, how a life and many of its principles work. Communicating with spirits and understanding there world is not something a person alive gets to know first hand. The book was interesting but the second half of it is bit repetitive and it ends with some interesting facts about life after death. I would suggest give it a try, there is nothing wrong in reading something new, getting a new perspective, it might just click with something you have already experienced. !!! Thief (Love me with Lies Book 3) !!! Love is patient; love is kind. Love doesn't boast or brag. it's never rude, crude, or indecent-it's not self absorbed. Love trusts, hopes, and endures no matter what. Love will never become obsolete. Okay, I took almost a 24 hour breather after finishing this book. 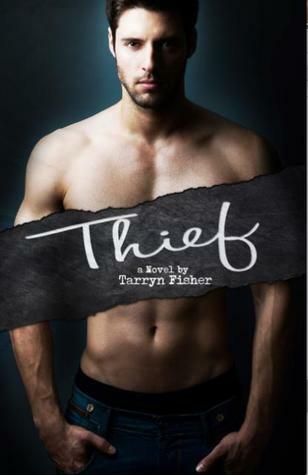 Well if you have not read Tarryn Fisher before then let me tell you a thing or two about her books or specially her trilogy of Love me with Lies... The story, the characters, the twist and turns, the lies and love is so overwhelming that when you start reading the story you would be unable to put it away until you have reached the last word of last page at least twice. And then you would need to put it away and sort your thoughts, when all the while you are thinking "WTF" ... What just happened... yes that's why you need a breather.. The best thing about the third book in this series was it was equally good as the last three, it tended to all the loose ends and lope holes in the earlier stories and gave a mind blowing Point of View of Caleb in all the past scenes more than half of which were already mentioned in the first and the second book. The things that I found a little unsettling was the characterization of Olivia Kaspen, as this book shows you how much Caleb wants Olivia and what he is willing to do to get her back in his life. Yet all Olivia has done is run and deny. Yes I agree that's what the Olivia's characters main essence is, but one would think after 10 years of ups and downs the woman would have learned a thing or two, but one might get a little disappointed by the way story has presented her in this book, I surely was, specially nearing the end when she does become emotionally available for Caleb during his hard times, but she could have contacted him long before when her Divorce was finalized. So book was amazing and so was Caleb and I thoroughly enjoyed what Leah received in the end, all good and will leave you with happy feeling but my best part was the epilogue. It made me think that people who have done wrong to many, have been mean to many sometimes to find their love and sometimes to run away from it, can never really find total happiness and full contentment, there is too much damage on their list .. They are flawed and imperfect. But they are perfect for each other. The end is perfect in its imperfections. So yes I agreed with the ending, it came full circle. "How many times can a heart be broken before it is beyond mend? How many times can I wish to not be alive? How can one human being cause such a crack in my existence? I alternate between periods of numbness and inconceivable pain all in the span of — an hour? An hour feels like a day, a day feels like a week. I want to live, and then I want to die. But, I don’t. I want her to suffer. I want her to be happy. I want to stop thinking altogether and be locked in a room without thoughts. Possibly for a year.I run. I run so much that if the zombie apocalypse were to happen, they’d never be able to catch me. When I run I don’t feel anything but the burning in my lungs. I like the burn; it lets me know I can still feel when I’m having a numb day. When I am having a day of pain, I drink. "Olivia. I've lost her three times. The first was to impatience. The second was to a lie so dense we couldn't work our way through it, and the third time - this time - I've lost her to Noah." "Broken people give broken love. And we are all a little broken. You just have to forgive and sew up the wounds love delivers, and move on." "Life does not accommodate you, it shatters you. Love is mean, but it’s good. It keeps us alive. If you need her, then wait. But, right now she’s getting married. It’s her day and you can’t ruin it." "How is it that you always let me go easily then? Why don't you know that I want you to fight for me?" "It took me a long time to figure out that's what you were saying...But ten years later, here I am. Fighting. I'd like to think I've learned from my mistakes. I'd also like to think we've finally made it to the point where we are ready for each other...Maybe this is finally our time. Maybe." "So, I fight. That's it. That's my only option. And if I don't get her, If she doesn't choose me. I'm going to be that guy - who spends his life alone and pining. Because I sure as hell am not going to replace her with any more Leahs or Jessicas or any-goddamn-body-else...It's Olivia or nothing." "Eventually. That word is so us, isn't it?...Eventually, we'll come back together, fall apart, come back together." It is kismet. They are soulmates. "We are gonna be okay. That's what happens when two people are meant. You just work it out until you are okay. “She will be your destruction. She's not healthy." "I'll do whatever I have to do to protect you. I'll lie, cheat, and steal to make you okay. I'll share your suffering, and I'll carry you when you're weighed down. I'll never leave you, not even when you ask me to. Do you believe me?" "Maybe our souls touched underneath that tree. Maybe I decided to love her. Maybe love wasn't our choice. But when I looked at that woman, I saw myself differently." She has the kind of love that can stain your soul, make you beg not to have one, just to escape the spell she's put you under. I've tried to break myself of her over and over, but it's pointless. I've got more of her in my veins than blood. !!! 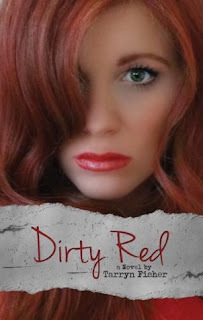 Dirty Red (Love Me With Lie Series-Book 2) !!! If an author can make you sympathize with the villain in the story its "Tarryn Fisher" . Total justice was done to "Leah's" character, what an amazing character sketch of a dark personality that you loath, sympathize, worry about the character at the same time. And in some places you just want her to get hit by a truck and get rid of her forever. Leah is Caleb’s wife and this book with will take you in the past right from where they both met and hit it off. The protagonist in this book is the biggest fan of anti Cleb & Olivia Caleb. You would be amazed at the things she has done to bring Caleb in her life and keep it their. But can true love be caged forever… may be not. But in this Love me with Lies series the biggest liar and Manipulator so far was Leah and it will twist your mind to read the highly twisted decisions she made and strings she pulled to keep Olivia away from Caleb and basically hurt and destroy both. But was she successful? I guess you have to read the bool for the same. The first chapter itself will make you anxious enough to reach the last page. I would say it’s such a good break from all the lovey dovey non ending series going on with the other Authors. This is definitely a must read. !!! 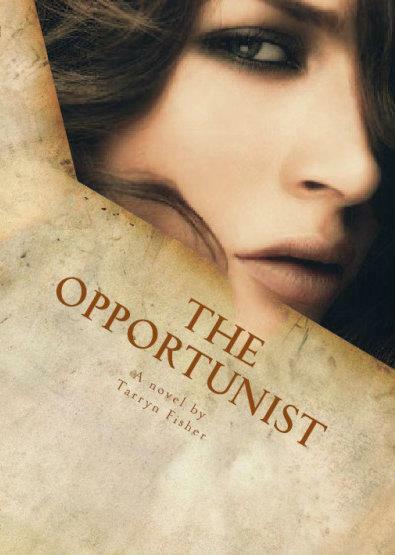 The Opportunist (Love Me With Lie Series Book 1) !!! So here I present Author -Tarryn Fisher, came across her books via goodreads, trust me I was so not prepared for what happen next. Her first ever series "Love Me With Lies" is a love story trilogy except for its not a love story but so much more. The series will blend your own character with those of her protagonists. You will love and hate this book at the same time, it will twist your guts. make you want to throw it away and cherish the story at the same time. 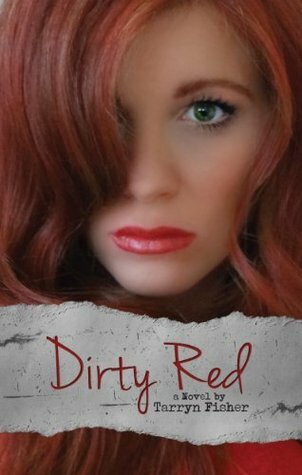 Can somebody like a Author for writing a book in the POV of a Villain, Well I did... and I fell hard for Tarryn Fisher with "Dirty Red"... Yes Silly me, that I didn't know the book has prequel, to be very honest this is happening to me a lot last couple of weeks, there's ridiculous amount of sequels lately. Anyways by the end of Dirty Red I was a fan of Tarryn Fisher writing, the style is new and fresh, it keeps you engaging but also involves you so deep in the character, that you start finding the shade of the one you are reading in your real self. I loved dirty red and then I started The Opportunist. The first thing that came to my mind after finishing the book was "This is not a Love story" yes the same line with which the "original Sin" started. It is a story of passion, desire, love, lies, betrayal, and obsession …… okay.. I am running out of dark words, but the story will touch you, make you flinch and turn your guts around. Olivia Kaspen the protagonist of the book who is portrayed as the opportunist in the series, and yet you will realize how she has missed all the life time opportunities of finding the true worth of herself. She has childhood issues with which she has defined her entire life, which affected everything decision of hers in the entire book. The love Story with Caleb will choke you it is so pure and addictive and yet you would want to strangle her on few stanza’s. But she is strong, too strong for her own good, focus, determined and yet lost and vulnerable. She will become you and will take you to deep corners of your mind where you will find a shade of her hidden within you, that will make you connect with her, hurt for her, angry with and in the end all you would want for her is HEA. My Heart is an artist that paints over what profoundly disturbs it, leaving on the canvas a less dark, less sharp version of the Truth.